Learn the time-tested, proven techniques, tips, tactics, skills and strategies the top 5% use that you can customise and optimise on your website IMMEDIATELY. This Event is available on DVD! Do you have your own "bailout" strategy to deal with your financial situation? I hope you have one in place, because the economy has never been this "desperate". The economy is on a knife’s edge! The financial markets are in the dumps, every body is hurting and if you’re like most hard-working business people, you find that there is less and less CASH in your business at the end of the week and less people clicking your "Buy It Now" buttons, yet your overheads keep going up! You need a better way to create more income for yourself with less effort. Millionaires are being made right now – YOU could be one of them! Right now is the ideal time to take action. As markets collapse and the majority of people run for cover, forward-looking people like Warren Buffet and Donald Trump are busy making deals and building their wealth. It’s true that those people are loaded with cash, but where do you think a substantial part of their wealth came from? They know how and WHEN to leverage economic crises. They have done it in the past and they are doing it again RIGHT NOW, in real time – while others panic and run for cover. Obviously, they have more than money. They have an opportunistic mindset. I call it the Exponential Wealth Creation Mindset™. If you have the Exponential Wealth Creation Mindset™ and the right tools, there is no reason to worry about your financial future. In fact you should be excited! Very excited! Once you hear how you can leverage the economic storm to your advantage using the ‘muscle’ of the Internet. Lack of the Exponential Wealth Creation Mindset™ is probably the reason why you still haven’t made $1 online, or at least not as much as you could and would have made IF only you had the right set of tools along with the right mindset. The majority of people don’t make any real money on the Internet because they keep doing all the wrong things for all the wrong reasons - consistently. So they keep getting bad results time after time. You’ll never catch the sunset if you keep running toward the East. Yet 95% of people on the Internet keep running East! You see, your performance at school, your degrees and accomplishments have NOTHING to do with your ability to make money on the Internet. Determination has NOTHING to do with it. Persistence has NOTHING to do with it. Brains or "smarts" have NOTHING to do with it. High school drop outs make more money online than architects, lawyers and doctors. I know. You’ve heard those rags to riches stories before. You tell yourself they can’t be true. If they were true, you’d have to face the REAL QUESTION: Why aren’t YOU doing the same? If you’re an ambitious individual, you have probably attended one or more “make-money-online” seminars by now. Maybe you make a habit of attending every FREE Internet seminar in town in search of that idea that will be the breakthrough to wealth. This is not one of those events. Second it’s not going to make you a Millionaire – these are the strategies that have made OTHERS Millionaires – not you, others. The top 5%. Do you like the stories you hear from stage?... “high-school drop outs, a guy with a bullet in his leg, very “average” husband and wife team, a guy who failed English class, a failed business man and husband, a failure in life” – now all those people make a fortune on the Internet – 24/7/365! An accident? Luck? Those people weren’t very lucky in life. But they obviously keep getting ‘lucky’ results time after time. How could anyone be so lucky consistently?!?!?!? What if, all the seminars, workshops and books you attended/read in the past were necessary to get you ready and prepared for success NOW. What if all you’re missing is just two ONE piece of the money-making puzzle? You can be 2mm away from your goal and NEVER know and therefore NEVER achieve your ultimate goal. You need to change your approach. Imagine, an automated online sales process that is selling to your clients without you having to meet them face-to-face – EVER! That’s just some of the things I covered at the Internet Millionaire Marketing Workshop – you missed the event but you can’t afford not get the DVD. You see, the 5% who are making money online, have stumbled across a formula, they keep following religiously. In fact, once you hear it, you’ll miss it. It’s that simple. So I’ll not only repeat it until it sinks into your subconscious but actually make it automatic so you can use it any time to make cash on demand. That’s why I want to invite you to experience this 1-day, hands on Internet Millionaire Marketing Workshop this is now on DVD. I build online strategies right in front of your eyes showing you the exact steps I used to build several successful websites on a shoe-string budget without any staff. This was not a FREE public event with sales every hour and people going to the back of the room to be sold. This was a by-invitation only event that is on the back-end of our legendary Exponential Internet and Business Building Bootcamp that people paid $9,997 to attend. These are the elite of the business and Internet community – the 5% take make money. The 5% that do what works and STOP doing what doesn’t. I invite ONLY 30 People to attend this bonus workshop day. THAT’S IT – ONLY 30 people attended. Why only 30? Because that’s the 5% I want to spend time with. People who are going to take action and make money $1 at a time… Over and over again. I am speaking from experience – when I launched Jay Abraham Asia Pacific 4 years ago, the business model was 100% effort-based and included one annual event when we brought the legendary Jay Abraham to Australia. That was a lot of hard work and inconsistent (once-a-year) revenue. ...and we're not talking 50% of a few thousand bucks here. We're talking 7-figure revenues, either transacted on or directly facilitated by my Internet strategies. Now that percentage is 80% passive and 20% effort-based. If that’s what you’re looking for – you MUST get your hands on this Internet Millionaire Marketing Workshop DVD – it’s the ONLY chance you have to get access to these strategies for less than $10,000. Yes, that’s right – our programs have gone "upmarket" to $10,000+ BECAUSE we want to deal with the very best, most committed and aggressive business leaders who want to win the game of business. They are willing to do what it takes to make things happen – so we charge them more AND give them MORE attention, service and value. I’ll also reveal how after the Sydney edition of the Bootcamp in August, I wanted to prove to people that the bar can be raised as high as you want WITH A SHOESTRING BUDGET. I spent $60 and less than 30 minutes to increase the number of viewers from 240 to 320 per day… Now you have to admit you’re curious. You do have $60 don’t you? Would you know what to do to get that RESULT? That’s why you need to attend. 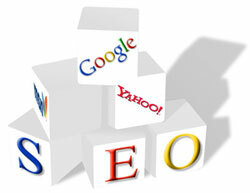 Many Internet Marketers spend months trying to work out the secrets of Search Engine Optimisation (SEO). Get ready to cut to the chase and have proven SEO strategies revealed that work immediately! You’ll learn advanced strategies for generating FREE traffic to feed MORE visitors to your website(s). You’ll also learn how to systemise and outsource your SEO strategy and engage low-cost contractors to implement them for you. Stop getting fleeced by some whiz kid who keeps telling you “it just takes a little time for these strategies to work…” all the while cashing your cheques week after week. The top 5% who make money know what works and what doesn’t. You’ll also receive this eye-opening 90-minute Audio recording and 43-page transcript which will take you from novice to master so that you can start to exponentially grow your online sales channel. When you attend the workshop as a Regular Ticket Holder, I will summarise the 3 steps to get you started FOR FREE, within 30 minutes. If you’re not blogging, you’re not going to get anywhere close to the top 5%. It’s that simple. I will show you how you can create an exponential source of FREE traffic that becomes INCREASINGLY more qualified. 4 techniques and tips will be revealed including one that costs only $19/year GUARANTEED to catapult you A LOT CLOSER to or at the top of Google within 30 days. I am going to cover step-by-step conversion strategies that produce 243% and 278% increases in sales INSTANTLY. I will highlight the Internet components of those sales conversion strategies so you can go back home and implement them immediately on your website or blog. The 95% that don’t make money on the Internet have a ‘herd’ mentality – they do what everyone else does and expect a different result. I will spotlight 2 or 3 strategies that anyone can use to do things that are out-of-the-ordinary that create extra-ordinary results. The key is the word ORDINARY. This stuff is not rocket science. ORDINARY every day people can do them, just like the 5% who make all the money. They key is KNOWING WHAT TO DO. I hear it all the time – I want to ‘get on the Internet’ to build a PASSIVE income stream… But only a few of us manage to make that truly happen. In less than one hour, I will reveal how you can replicate my success on a shoestring budget and with NO STAFF. This session alone is worth the price of the DVD. We recently launched a revolutionary wealth creation program called Flipping Websites For Profit™ that pays people $100/hour learning how to create a passive income stream of $100,000/year. That wealth creation model is the future of Internet traffic generation strategies. In this one-hour session, I will show you how you can develop a multi-tiered approach to traffic and lead generation that will blow your socks off. It is so powerful and exciting that you’ll have to watch it 2 or 3 times on DVD to fully grasp how this can unleash the Exponential Potential™ of your existing websites. How powerful is this wealth creation model? Our $100,000 Diamond Program based on this wealth creation principle is currently sold out. That’s right – SOLD OUT. That’s what happens when the 95% who aren’t making money find out what the 5% are doing – THEY WANT IN! This session has never been presented in THIS format, in THIS context. I call it as I see it and hold nothing back. I explain why putting an ebook on the net thinking millions of people are going to buy from them is the most ridiculous business model ever promoted – it’s The #1 Reason Why People DON’T MAKE MONEY ON THE INTERNET. At the 2009 Exponential Internet & Business Building Bootcamp, I will perform an Exponential HotSeat™. For the Internet Millionaire Marketing Workshop, I will perform a similar exercise on an existing website, building a money-making empire click-by-click so you can replicate it on your website at home. You need to STOP seeking free information from online blogs and forums from people who have no idea how to consistently make money on the Internet. Free information that circulates the Internet today is not free. It’s costing you tens of thousands of dollars - in lost passive income, lost opportunity and overspending on traffic generation techniques that never bring you the results you need. That is why you need to get the DVD of this event – take EVERYTHING you’ve learned, gathered and collected and FINALLY turn that into CASH. Albert Einstein said it best “Insanity is doing the same thing over and over again and expecting different results.” STOP the insanity now and learn the secret strategies of the 5% who make more than the 95% combined. I know I am repeating myself, but it needs to be hammered home. If you do nothing, you won’t change your results. The cost of this DVD is a drop in the bucket when you consider what it will cost you NOT to know what to do especially when competition will only heat up. I am not into fear mongering, but then again I am telling our elite Platinum and Diamond Members what to do to profit in these turbulent times – one of them is to do what others are NOT doing… Acting Antimimeticisomorphically. The Audio CD recording captures every single strategy step-by-step, click-by-click strategy word-for-word. You’ll want to listen to this recording over and over. I guarantee you that each time you’ll uncover a new idea that you can implement on your website so that you continue to make your 1% improvements each and every day. If you are going to leverage yourself (as you should) you will want to share the DVD with your team, otherwise they are going to keep doing the things the 95% do and you’ll remain stuck in the Vortex Of Mediocrity™. This alone is worth the investment of the workshop PLUS you get to attend! The advantage of the DVD over the CD is that you get to SEE the slides, URLs and other specific details that are necessary for implementation. Why you need to start blogging RIGHT AWAY and how to go about it to get the MOST out of it while avoiding wasting valuable time doing stuff that has no net positive benefit. WHAT is a blog, HOW and WHERE to set it up including a detailed pros and cons discussion so you can avoid the #1 mistake most novices unknowingly make. Increase your organic Search Engine Rankings with the 3 Key areas to optimise that make an INSTANT difference. The importance of the NAME of your blog and domain names. Long tail traffic marketing and Killer Kopywriting™ strategies to get more people to your blog and then to your monetization engine. Content - where to get it and what to do with it. The pros and cons of ghostblogging. Backlinks – how to create them SYSTEMATICALLY. Subscribers - how to get them to opt-in and stay in! RSS Readers are comparatively hard to get – 3 proven steps that work. A commercial versus personal blog - The differences and implications of each. Blog etiquette - Special considerations you need to keep in mind. How much should you give away in your blog? If you're like most, your imagination is spinning its wheels. But that's exactly what this man can do and is doing right this minute. SYDNEY, AUSTRALIA, AUGUST 2007 - 604 money-hungry Internet Entrepreneurs sat on the edge of their seats, as the Internet's Guru's Guru shared not only some of his latest secrets but, most importantly, his money-pumping mindset. This unscripted, unedited raw footage is a unique glimpse into the Internet Mastery Platinum Program. 2 hours of video footage of clear-cut answers to the most pressing questions people have about making money on the Internet. This is not a product available anywhere else – it’s an exclusive bonus for premium clients on a preferential basis. This is only available to Premium Ticket holders. My daily distinctions have become legendary – getting you to ‘shift your mindset from every day thinking to Antimimeticisomorphic thinking that gets you to Twist The Kube™ so you can, on your own, come up with out-of-the-ordinary strategies that create extra-ordinary results. Even though it takes 21 days to create a new habit, 7 days of this subscription will demonstrate the value of becoming a VIP or Platinum Member. This gift is yours ONLY as a Premium Ticket holder for the Internet Millionaire Marketing Workshop. If you’re not sure about the value of the content I cover, take 10 minutes right now and check out my blogs. That is the information I give away for FREE. Imagine what I reveal when people PAY FOR IT! If you’re into FREE "sales-fest" events that pump you up and leave you wanting more, but deliver nothing, this DVD is not for you. This is 100% pure profit producing content. In this DVD set, you'll get thousands of dollars of bonuses that are worth MORE than the price of the ticket PLUS you get to watch the entire 8-hour event. But this offer is limited to current inventory – get your DVD now or you'll miss out. One last thing you need to consider. Y’see with the RESULTS GUARANTEED programs we deliver, we have more and more people interested in what we have to say. Everyone else in our ‘industry’ offers the traditional ‘money back guarantee’. Did you know that 50% of people who buy programs at multi-speaker events RETURN them within the guarantee period? Those programs and products don’t work. Sure, they impress participants with a crowd at the back of the room, but the BARE BONES REALITY is that everyone loses. The promoter and the presenters lose because ill will is created and the participants lose because they didn’t get what they wanted… Or did they? They wanted a quick fix that doesn’t exist. They wanted a magic bullet to solve ‘all their problems’ instantly. They got exactly what they deserved. I know that sounds harsh and it is. It’s called life and that’s the way it is. I however, have been in this industry with only ONE mission – to make sure that EVERYTHING I DO WORKS and than an ordinary person can implement what I teach and replicate my results – GUARANTEED. That is why I created Australia’s (The world’s?) First and only RESULTS GUARANTEED program – the Platinum Program. The strategies I present at the Internet Millionaire Marketing Workshop are exactly the SAME strategies but they don’t come with ANY guarantee. That’s right – NO MONEY BACK GUARANTEE. NONE. You want a guarantee, buy someone else’s program or join our Platinum Program. The value proposition for this DVD is so overwhelming that I am not offering any guarantee. How’s that for being Antimimeticisomorphic? How’s that for bucking the trend? I will sell all the remaining inventory WITH NO GUARANTEE – that is PROOF this stuff works. If you want PROVEN PROFIT-MAKING RESULTS, spend a day with me via the DVD recording. I have USED every single strategy I teach to become financially independent as well as currently helping my clients create over $20 Million in value THIS YEAR. The only question is whether or not you’ll get your share of that $20 Million. If you don’t get the DVD it won’t make a bit of difference to me, but if you do get, it will be a life-changing, business-shifting experience that you will remember for years to come.